without leaving any details so our client had to pay for the repair bill themselves. 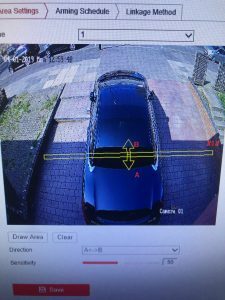 We spoke to our client about the CCTV choices available for IP cameras. Because an incident had occurred at an unknown time it was agreed that 4mp Hikvision Turrets with Line Crossing features would be the best option. 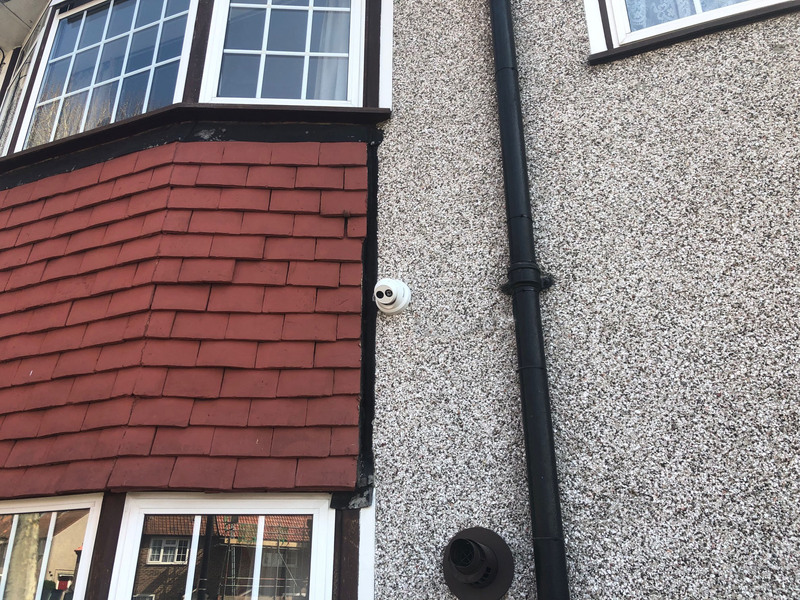 We installed two Hikvision IP 4MP 2.8mm External IR Turret’s with a 4K POE NVR. One front and one back of house covering the garden. We utilised the drain pipes and then loft meaning our Cat 5 cables were invisible. The front CCTV camera cable goes straight into the small office / bedroom where the PC monitor and BT Router were. We added a DVI cable so the PC could run alongside the VGA cable for the CCTV NVR meaning only 1 monitor was needed. Line crossing was added via the NVR web browser login. We used the “notify surveillance centre” option which meant any notifications went straight to HIK Connect’s mobile phone app. From here a snippet of the “intruder” could be viewed almost immediately. Our customer was very happy and mentioned how neat and tidy the installation was.